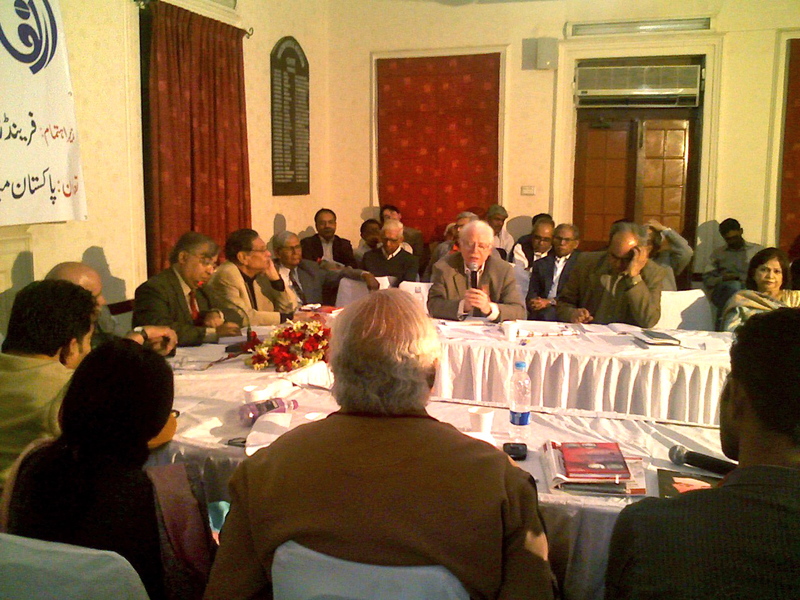 Dr Haroon Ahmed making a point; Iqbal Alavi, Shahid Husain and Anis Haroon also visible. In the death of Dr Mohammad Sarwar on May 26, 2009 the progressive and democratic movement in Pakistan lost one of its best sons. 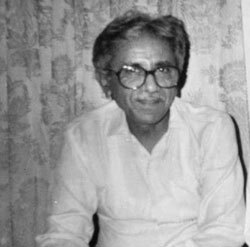 He was equally loved by veterans such as Sobho Gianchandani, Faiz Ahmed Faiz and Syed Sibte Hasan and youngsters who frequented his residence in Clifton. Born in Allahabad, UP, India, in 1930 Dr Sarwar was studying for a BSc in his hometown when he, along with a group of fellow students, came to Pakistan in 1948 “to see what the new country was like,” and decided to stay for good. Dr Sarwar graduated in 1954, a year later than he was initially supposed to graduate, because fellow students asked him to stay for one more year so that the All-Pakistan Students Organisation (APSO), which was established in 1953, could be set up properly. I remember we would visit his clinic in Firdous Colony in Nazimabad in late 1960s to collect funds when National Students Federation (NSF) launched a protest movement against military dictator Gen. Ayub Khan and he was always generous. In fact he handed over his entire day’s earnings to us and we made it a point to visit his clinic late so that we may get more fund.